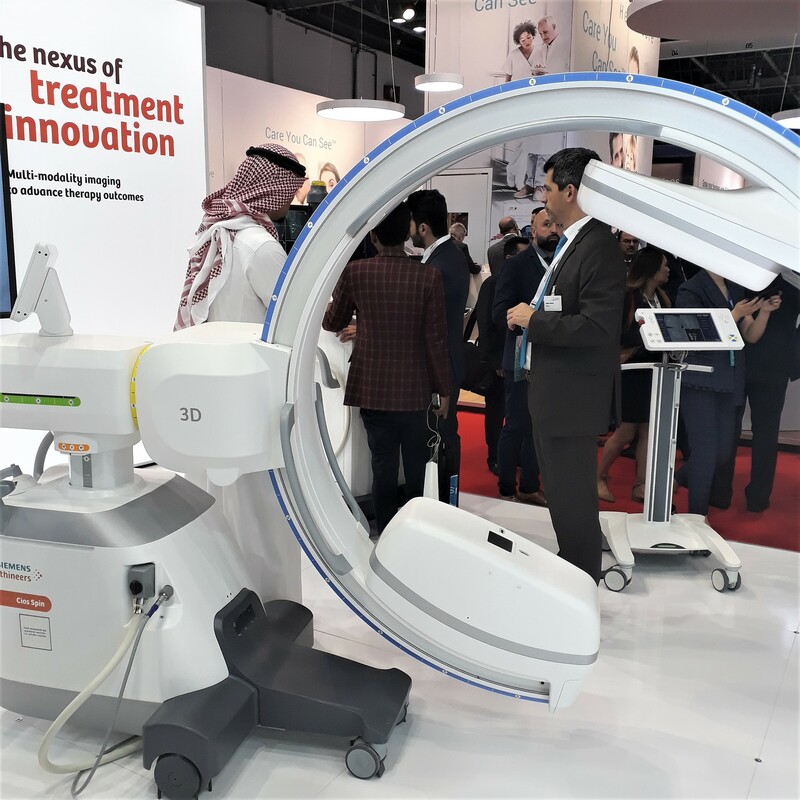 Pacific Diagnostics was at the beginning of this year, privileged to attend various Healthcare Exhibitions and to see firsthand some of the latest innovations and equipment offerings in Healthcare. Manufacturers and suppliers showcased pioneering technologies and groundbreaking new innovations ranging from Artificial intelligence, to surgical robots, 3D medical printing, personal healthcare technology and even augmented realities. 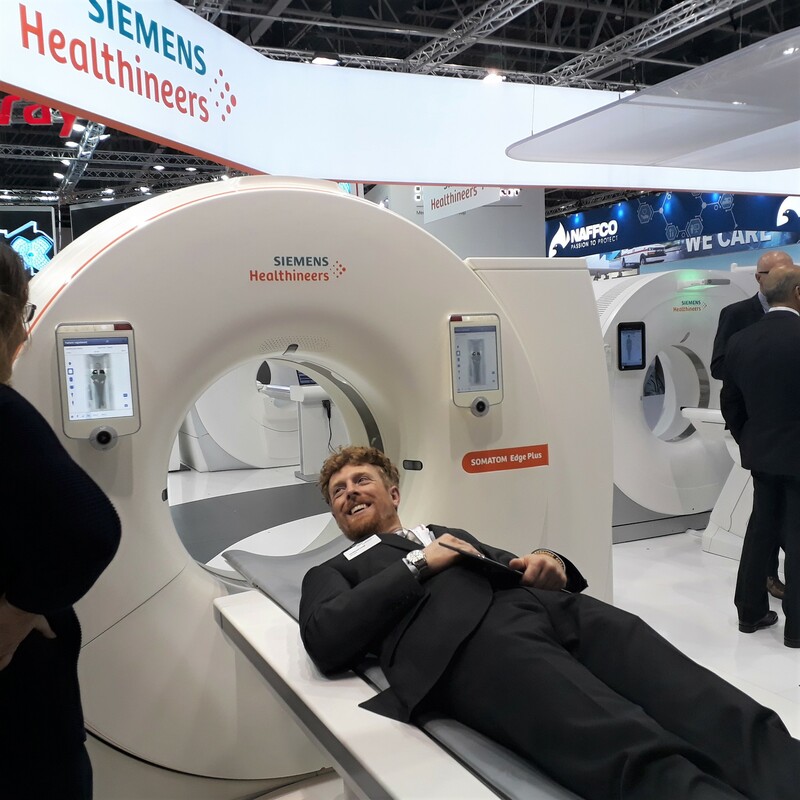 Siemens Healthineers did not disappoint and led with some of the biggest innovations presented. 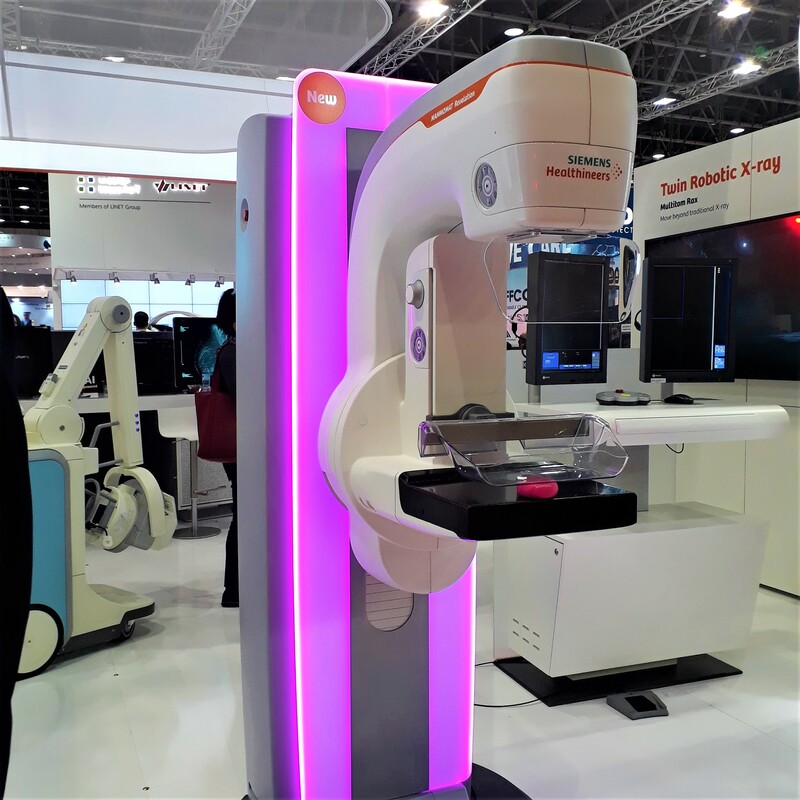 Most notably was the Somatom Edge Plus with the world’s first FAST 3D camera that provides a revolutionary workflow in precise patient positioning. The 3D camera measures the patients shape, positioning and height in 3 dimensions, even recognizing body contour to identify clothes thickness. Automation and reproducible imaging has now been simplified to a “zero click” solution on the touch panel which simultaneously calculates table height, patient thickness, patient direction and the body’s regions in the z-direction. The system ensures you scan the correct body region with no truncation by aligning the anatomical position with the protocol. With fast isocentering you are able to easily achieve the correct dose modulation guaranteeing consistent images. Advanced features help maximize workflow with accelerated topograms, anatomical scan ranges and 3D image alignment ensuring that you can count on precise patient positioning. Click here to learn more. 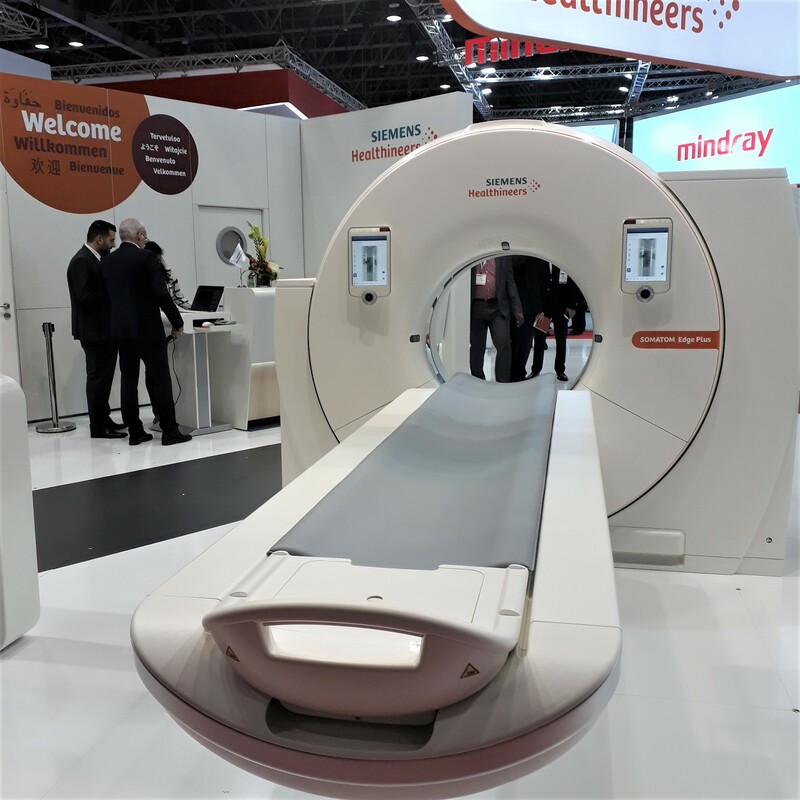 The Cios spin from Siemens Healthineers guarantees cutting edge mobile 3D imaging for intraoperative quality assurance, helping improve surgical outcomes. The flat detector C-arm simplifies 3D imaging with anatomically precise views of the target bone or implant that can be easily rotated on screen. The system can detect screws for the surgeon in 3D labelling them automatically for faster throughput. The high powered generator ensures precise clinical evaluation even in dense tissue of obese patients or solid parts of the body such as the hip. To learn more about this system click here. To get more information on these products and to view the full Siemens Healthineers portfolio offered by Pacific Diagnostics follow this link.